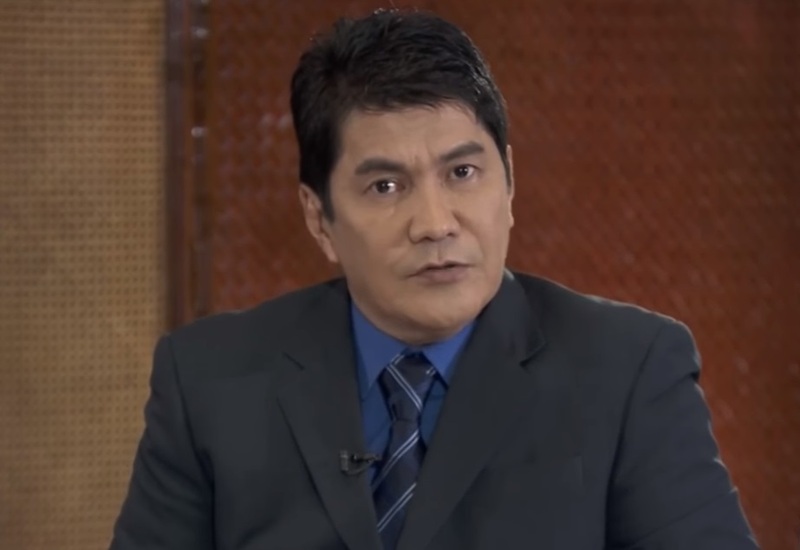 Radio commentator and broadcaster Erwin Tulfo has joined People's Television Network in a full-time capacity. The former Aksyon anchor, who has been co-hosting PTV4's public service program Kilos Pronto since May, has been named new anchor of Ulat Bayan, the network's flagship evening newscast. Beginning Monday, September 18, Tulfo will take over the 6PM anchoring duties alongside Daily Info's Diane Querrer. The newscast's original anchors, Aljo Bendijo and Cathy Vital, will remain with the state-run TV network and will anchor the news in an earlier shift. The die-hard supporter of President Rodrigo Duterte hinted back in June that he would be joining a well-known TV network after parting ways with TV5. "MAY BAGO NA PO AKONG TAHANAN...isang sikat na nationwide AM radio at isang kilalang TV network. Public service host po tayo sa radyo at newscaster naman sa television," he wrote in a Facebook post. "INAAYOS NA PO NG DALAWANG PANIG ANG KONTRATA. Kaagad kong ipapaalam sa inyo sa mga darating na araw."